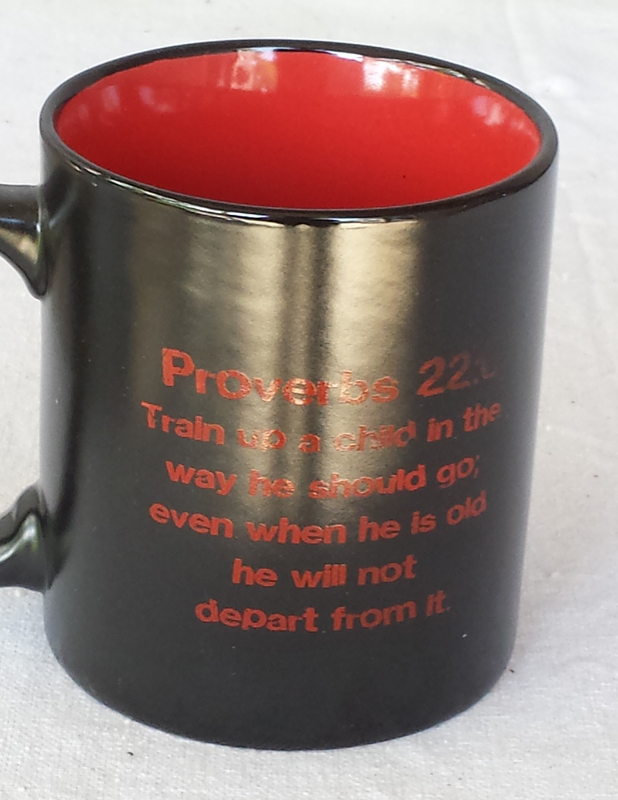 This sturdy black with red inside glossy ceramic mug is an essential to your cupboard. 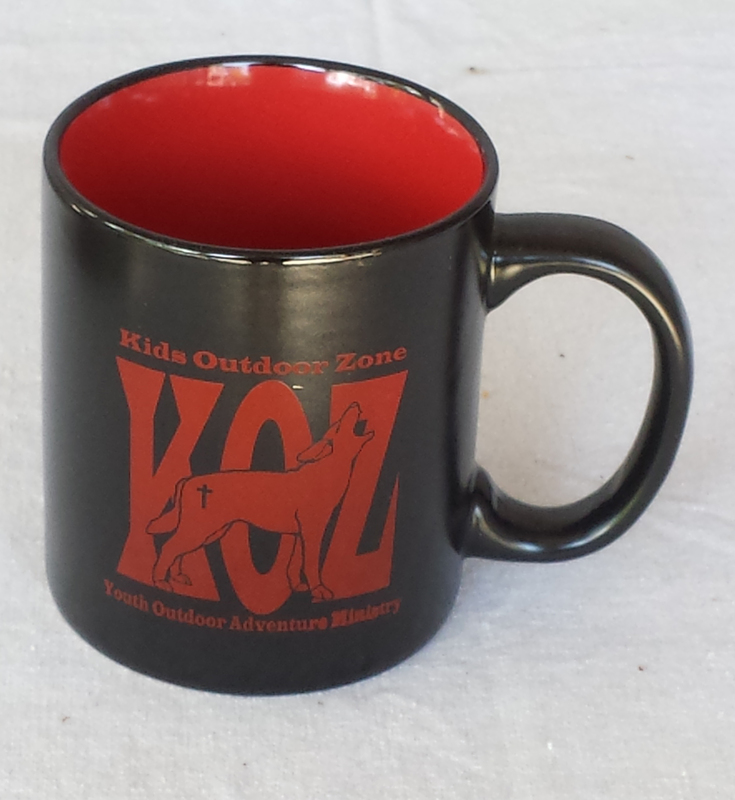 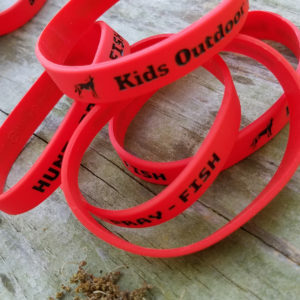 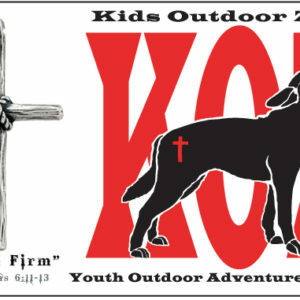 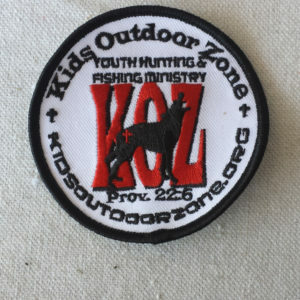 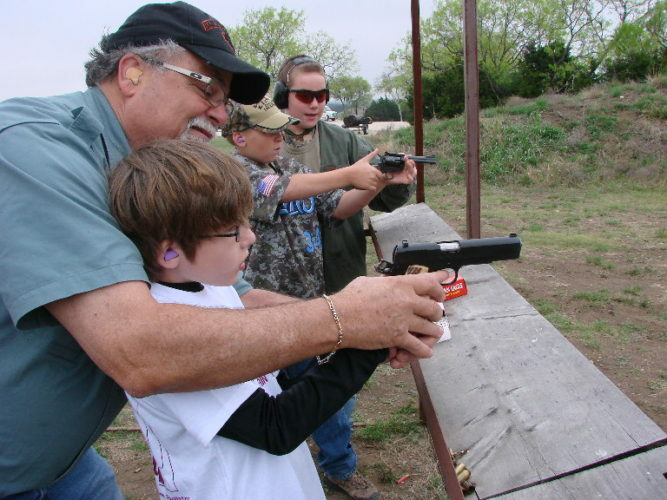 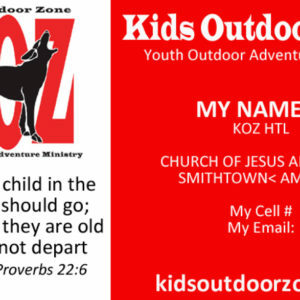 KOZ logo on front with Proverbs 22:6 scripture on the back: Train up a child in the way he should go; even when he is old he will not depart from it. This brawny version of ceramic mugs shows it’s true colors with quality assurance to withstand heat in the microwave and put it through the dishwasher as many times as you like, the quality will not be altered.